SMWS Cask 70.12 9yo (56.8%): A 9 year old single cask, cask strength Balblair from SMWS... Balblair is a distillery situated in Northern Highlands and owned by Inver House Distillers since 1996. They are known for their great looking chubby bottles and for labeling their releases with vintages instead of age statements. 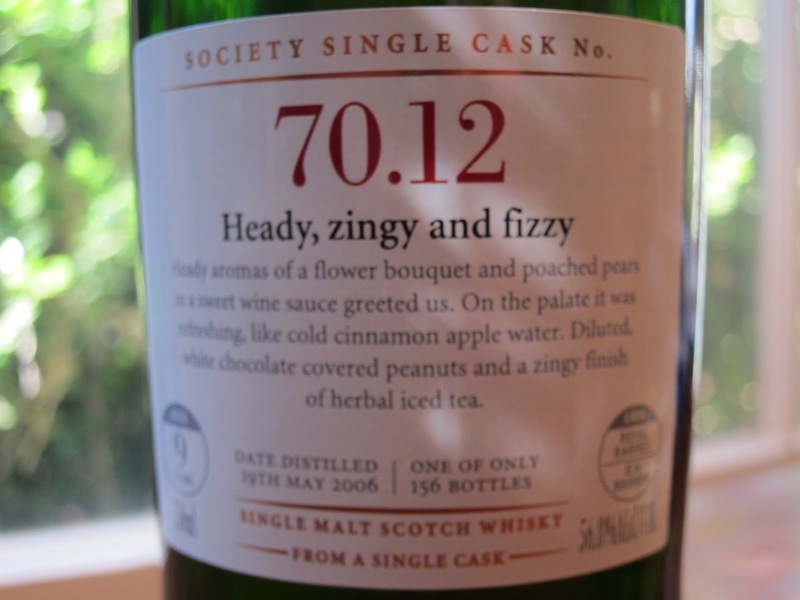 This particular whisky is distilled in May 2006 and spent its life in a refill hogshead which yielded only 156 bottles before it got bottled. Nose: Unsalted butter and butterscotch. Wood glue, acetone and wet concrete. Anjou pears, Granny Smith apples and bitter greens. Egg whites and lime juice. Buckskin jacket, leather work boots and new make spirit. It noses very young and spirity but also energetic... A few drops of water pull the nose to a less fruity and more vegetal side. Damp haystacks, green asparagus, grass fields after a summer rain and spearmint leaves. White wine vinegar and cookie dough. Palate: Hot on the palate before adding water: Wintergreen Altoids, eucalyptus drops and cucumber water. Just a few drops of water work great. Fresh mint, fresh oregano and sage now. Green almonds, sea salt and dried camomile. Jasmine tea and jalapeno peppers. Finish: Long but mostly with young alcohol burn and white pepper. 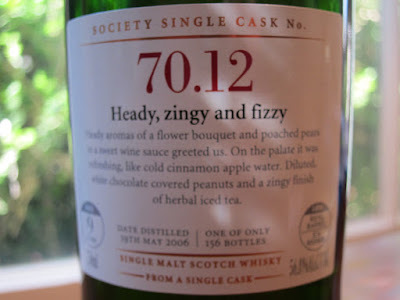 Overall: I wish I could write more about this dram but that's about it... It is simple, mostly one dimensional but quite enjoyable. I think I wasn't expecting anything more from a nine year old refill barrel to begin with anyway... 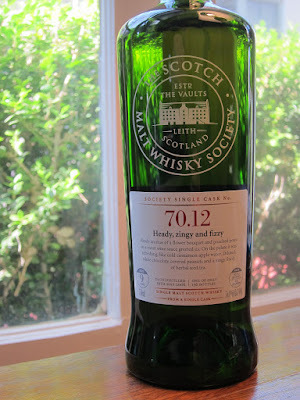 It's definitely not a memorable dram but a rather nice one to reach to when you come home after a long day of work in a warm summer evening and don't have anything special in your mind. But hold on for a second... At the end even at cask strength it makes you question the three digit price tag attached to this bottle though. Especially if you are paying for your membership dues and a lot of money for shipping on top of it. Something to think about... Just saying.